Karl Walter Buskohl came into the world on the 20th of April, 1955 in Irhove/Friesland. By the tender age of eight, he had already discovered the guitar. As a young person he did not seem to hold a lot of interest in the conventional patterns of life. So he dropped out of secondary school and took a year to drive to the sea. Far from home he made the decision, to go out on his own at the age of 17 with his guitar on his back. Carl Carlton left Germany in 1975 to try something new, he had played in Oldenburg in a Country Rock Band, the Elmsland Hillibillies, played with Hermann Brood in Holland, and created Long Tall Ernie and the Shakers. By 1979 Carl was introduced to Mink DeVille in New York and joined his Band. His musical connection to Germany still existed with Nina Hagen. In 1980 he was went to Holland where he joined the band Vitesse with Hermann von Bojen, at the same time, he played in the band with Manfred Mann. In 1983 Carl hooked up with Udo Lindenberg's panic orchestra. 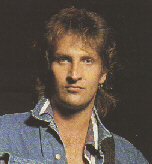 In addition, in 1985, he accompanied Wolfgang Niedeken on solo tracks. In 1987 Carl formed his own band Raiders of the Red Corvette, but that proved unsuccessful. 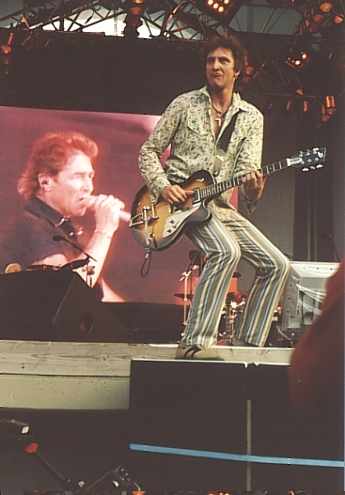 That same year he met Peter Maffay who recognized his talents. The two became friends as well as compatible band mates. From that time on, Carl Carlton became a star in the Peter Maffay Band. In 1990, Carl started another new band "New Legend" also without success. The band broke up in 1993. Through that connection, Carl Carlton was active in the band of Stefan Remmler. " the Steher ". Carl traveled with the group to various brothels in Germany. Other musical activities followed in 1994 with Robert Palmer. Same year Carl Carlton takes over the role as a musical manager with the reknowned " Tabaluga and Lilli ". In 1995 he connects with Mother's Finest.The following year with Amanda Marshall, and the Australian Jimmy Barnes. In 1997 Carl Carlton on a tour in Australia, ran into the manager of Joe Cocker, and suddenly he has a new exclusive job in the bag. He hit upon the chance to back-up Bruce Springsteen with his guitar. He dropped out of the engagement, because he had promised a regular vacation to his children. Carl Carlton is not only considered a master of the slide guitar, and electric guitar He plays mandolin. In his first band he sat the drums. Carl is not only a talented musician, he often handles duties of producer. Carl has produced recordings for Peter Maffay, Yothu Yindi and Mother`s Finest.
" Revolution Avenue "is the first recording of the solo project of Carl Carlton and The Songdogs. 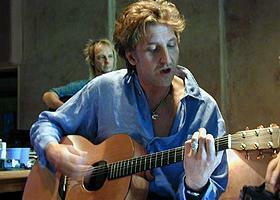 The album offers a mixture of rock, blues, pop, Latin and Soul. Thanks to the wandering minstrel career of Carl Carlton, several of the numerous celebrated guests met along the way, appear on the album with Carl Carlton and the Songdogs.